The performance of radio-frequency (RF) shielded enclosures is greatly affected by seams and penetrations, especially at higher frequencies. The higher the frequency of an electromagnetic wave, the shorter its wavelength and the more likely it is to escape through any openings in an RFI/EMI shield. Therefore, when designing a faraday cage it is critical to minimize the apertures in the enclosure to decrease the potential EMI leakage points, and to maximize the quality of the design near apertures for overall performance and reliability for the long term. The frequency at which RF energy will propagate through an aperture without being attenuated is known as the cutoff frequency (fc). Frequencies above fc will propagate freely, while those below fc are attenuated. The equations below will demonstrate how to calculate the cutoff frequency. Besides knowing the cutoff frequency, a good rule of thumb to achieve excellent EMI shielding effectiveness in any application is to keep every aperture size at or smaller than 1/50 wavelength, and never any larger than 1/20 wavelength. 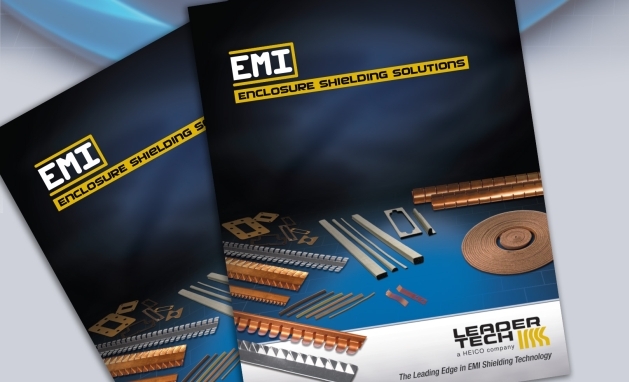 The engineers at Leader Tech understand the aforementioned principles and account for them when working with customers on the design of custom shielded electromagnetic interference enclosures. In a future blog article, we will outline some of the key design considerations near apertures and provide some examples of the different options Leader Tech can implement to reduce or eliminate apertures.